Want to check out the awards and scholarships Georgian has to offer? Click the search button above. Ready to apply for awards and scholarships? Start on your Student Award Profile by clicking the apply button above and complete the Student Information, Academic Information and Additional Information sections. Please note: we’re continually making improvements to the application process. Please let us know if you experience any difficulties so we can address them promptly. To make it easier to apply, we’ve recently updated our online application process. As you complete your information, the system identifies awards that match your profile. The support we make available through awards and scholarships would not be possible without the generous contributions of our donors. Each year, businesses, organizations, families and individuals make the decision to fund the hundreds of awards that are offered. Their desire to see Georgian College students succeed comes from their understanding that today’s students will be tomorrow’s industry leaders. Our online application process is connecting students to awards! When you create a Student Awards Profile, you provide us with the information we need to help identify the awards you may be eligible for. You must be a registered Georgian College student to apply. To begin, click the APPLY to awards and scholarships button to the right. Not a registered student yet? You can still search the awards and scholarships that Georgian has to offer. Just click the SEARCH for awards and scholarships button to the right. To see step-by-step instructions, read the application tutorial. We apologize that our current technology only provides an opportunity for applicants to identify as male or female when submitting applications for awards and scholarships. To ensure a respectful application process is afforded to all students who wish to apply for awards and scholarships, we have attached a fillable application form which can be used by any applicant that does not identify as male or female and invite any student wishing to receive assistance in completing the forms to visit our awards office in room E200 at the Barrie Campus. We are actively investigating technology solutions to ensure a streamlined system is available to all students in the future. Issued award cheques are valid for 6 months from the date of issue only. Want to check out the awards and scholarships Georgian has to offer? Click the search button above. 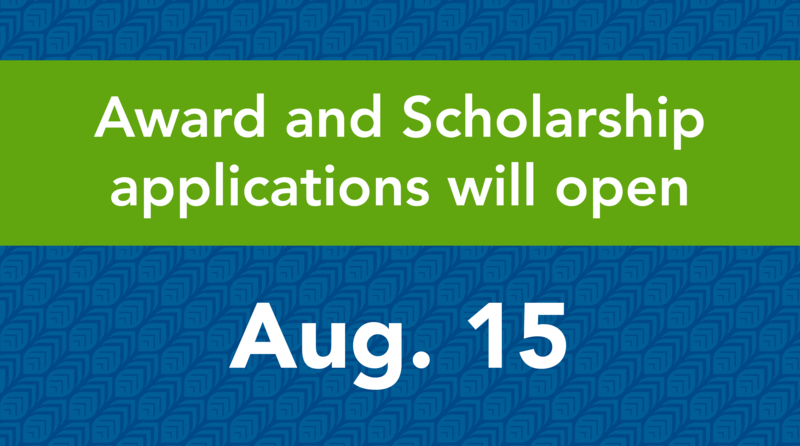 Ready to apply for awards and scholarships? You can get started on your Student Award Profile by clicking the apply button above. You can complete the Student Information, Academic Information and Additional Information sections. Does your organization offer its own award? If your organization or business offers an award you would like to share with Georgian College students, let us know! Email our Awards office with the name of the award and a website address where students can learn more and apply. We will add it to this list so students can access it straight from this site. The seventh annual Base Borden Run, held Sept. 25 at CFB Borden, raised $26,400 for the Operation Hero scholarship, ensuring generations of students will benefit from this special event. “In Memory” and “Tribute” donations are a wonderful way to remember or celebrate a loved one or friend. These donations are directed to Georgian’s Highest Priority Fund, which includes the Food Locker program, the Student Access and Opportunity Gift, tuition grants, and awards and scholarships. 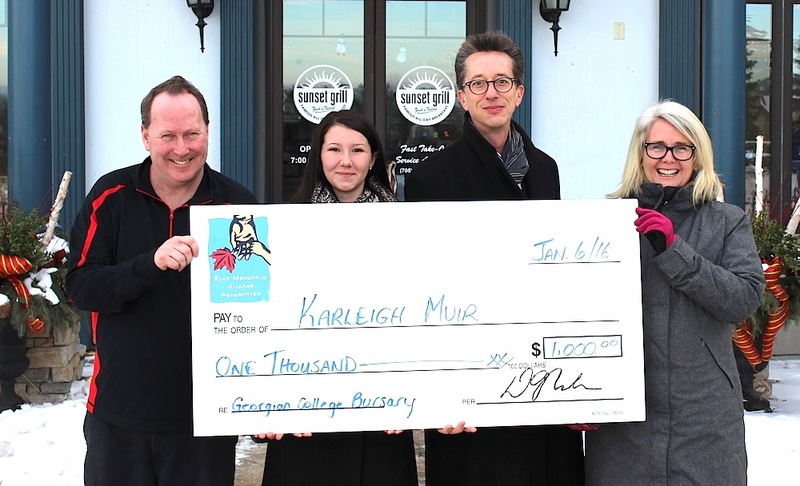 The new year is off to a good start for student Karleigh Muir. She recently received a scholarship to help her continue her hospitality studies. Karleigh Muir, a second-year Hospitality Administration – Hotel and Resort student, recently received the NEWH Scholarship Award valued at $2,500. Over the past two years, the NEWH Toronto Chapter has provided more than $4,000 in scholarships to deserving hospitality students at Georgian. One hundred future Georgian students have received tuition grants of $1,000 each as part of a random draw held at Spring Open House last March. Excited students have been tweeting about the news at #GeorgianTuitionGrants. The Ontario Restaurant Hotel and Motel Association (ORHMA) – Simcoe Region donated proceeds from the 2014 Simcoe Hospitality Awards Gala to Georgian. Hospitality and Tourism students have benefitted from the gala over the past two years, with the industry raising $30,000 in support of student scholarships. Winter applications will open on Feb. 1 and will close on March 31. There are no awards or scholarships available to apply for in my program area. What happens now? Unfortunately, there aren’t awards specific to every program. However, we do have “open” awards that are open to students in any program. These will appear when you complete your Student Awards Profile and see what you match to. To manually search for these, select “awards open to all programs” under the program listing on the search page. You can narrow this search down by selecting your level of study, academic area or even campus. When is the best time to apply for awards and scholarships? The awards and scholarships program has recently been updated so you know exactly when to apply! Our award applications open twice per year: Feb. 1 to March 31 and Sept. 1 to Oct. 31. What documents do I need to apply for awards and scholarships? It is always a great time to start putting together your documents for awards and scholarships. Typically you will be asked to provide the following: letter of reference, resumé, grade reports and cover letter. It is a really good idea to be prepared in advance because the perfect opportunity might arise for you at any time. Small details can make a big difference in whether or not your application stands out. Make sure your reference letters and resumé are of the same quality that you would use to land a job interview. Write clearly. Be concise. Check spelling. Ask a peer or superior to proofread all of your documents. Make certain your application and documentation address the specific requirements of the award. Ensure you have provided all of the requested information and attach all documents required to your application. Leaving off pertinent information by accident can result in disqualification. Is it really worth my time to even bother applying? The amount of time and energy you put into searching out and applying for awards and scholarships is up to you. However, the more effort you make, the better your chances of becoming a winner. And most importantly, don’t get discouraged if you don’t win. Make the strongest case you can, and simply try again. A gift or sum of money presented to students in recognition of their accomplishments or situational needs. A non-repayable sum of money presented to students based strictly on their financial need. An individual, family, organization or business who generously give to Georgian College to support student success. An award that is presented to students who are beginning their first year of study in a program. Other criteria may apply. An award that is presented to students who are in their final year of study in a program. Other criteria may apply. An award that is presented to students who are enrolled in a program at Georgian College. Students are considered ‘In-Course’ while they are in the middle of their program (not Entrance, not Graduate). Other criteria may apply. A gift or sum of money presented to a student primarily on the basis of academic achievement. Other criteria may apply. For questions about your application, or for general awards and scholarships inquiries, please call us at 705.728.1968, ext. 1483 or email awards@georgiancollege.ca.